Linda Morgan Morrison, age 69 of Raleigh, went to be with her Lord and Savior Jesus Christ on Friday, October 2, 2015 after an extended illness at Duke Raleigh Hospital. She was born on September 3, 1946 to the late Bertis and Lessie Taylor Morgan. 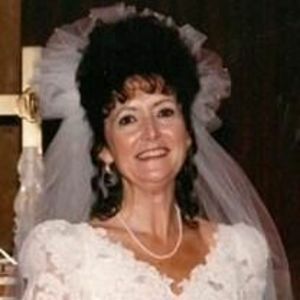 Linda was a graduate of Rocky Mount High School and Harburger Junior College. Linda was preceded in death by her son, Christopher Scott Cooper; her daughter, Tiffany Dawn Cooper; and her sister, Mary Lee Tippett. She is survived by her loving husband, Frank A. Morrison of Raleigh, NC; her son, W. Brian Cooper and his wife Valerie Cooper; her grandchildren, Hannah and Jackson Cooper all of Wake Forest, NC; her loving Aunt Ruth Howard of Kinston, NC; nieces, nephews and cousins. Her family will receive friends on Saturday, October 10, 2015 from 1:00 PM until 3:00 PM on the Chapel of Johnson Funerals and Cremations, 661 English Road, Rocky Mount, NC. 27804. The funeral service will follow immediately after the Visitation, with the Reverend Pamela A. Wesoloski, officiating. Interment will follow after the funeral service at Forest Hills Cemetery, Nashville, NC. Arrangements are entrusted to Johnson Funerals and Cremations, 661 English Road, Rocky Mount, NC.